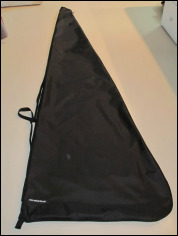 The Sail Carrier is lightweight, easy to use and holds 2 sets of EC-12 sails. 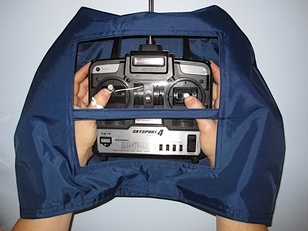 ﻿A weather resistant transmitter cover for those foul weather days. No need to rely on plastic bags anymore. "When the rains come, get out your TX Rain Guard!" All Products Handmade in the USA.